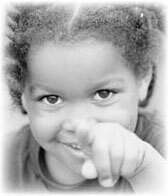 Institute for Family Development needs you to continue its work. Please click here to see how you can help. HOMEBUILDERS® has been listed as an effective program in the California Evidence-Based Clearinghouse for Child Welfare". The Institute for Family Development (IFD) provides a range of innovative and cost-effective in-home services to children and families, including HOMEBUILDERS® Intensive Family Preservation and Intensive Family Reunification Services (IFPS), Parent Child Interaction Training (PCIT), and Functional Family Therapy (FFT). The Institute's Intensive Family Preservation Services and Intensive Family Reunification Services, Parent Child Interaction Training, and Functional Family Therapy, are all demonstrated to effectively address the growing problems of family dissolution, child abuse and neglect, juvenile delinquency and family conflict. Founded in 1982, the Institute's mission is to develop, deliver and disseminate evidence based child welfare programs to keep children safe, strengthen families, and reduce the need for placing children into state-funded care. The California Evidence-Based Clearinghouse for Child Welfare includes the Institute's HOMEBUILDERS® model as one of only five programs identified as being effective in reunifying families. The U.S. Surgeon General has recognized HOMEBUILDERS® as a model family strengthening program, the Office of Juvenile Justice Delinquency Prevention (OJJDP) and Center for Substance Abuse Prevention (CSAP) has designated HOMEBUILDERS® as a model program for preventing juvenile delinquency, and the program has been accepted into the Substance Abuse and Mental Health Services Administration National Registry of Evidenced Based Programs and Practices to prevent or treat mental health or substance abuse disorders. Research consistently shows that 70% to 90% of referred families remain safely together six months to a year following services . For over 20 years the Institute has provided training and technical assistance nationally and internationally to public and private human service agency professionals. In addition to training and site development for those who wish to implement programs like HOMEBUILDERS® Intensive Family Preservation Services, the Institute offers a wide variety of other training topics.